AnySailor.com has Sailor "contacts" who are overseas and they list what they need and want. We even have a search capability so you can easily identify what units need. You read through the names and the stories they write and select the ones you wish to support. AnySailor.com Sailors are volunteers for this effort, they see the "ATTN: Any Sailor®" line under their name on the mail you send to them and they put your letters and packages into the hands of Sailors who don't get much or any mail. 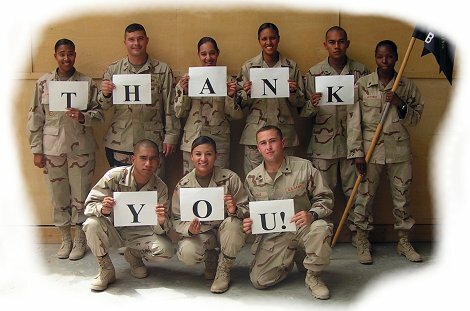 AnySailor.com is a great way to support your troops while deployed. If you are a deployed Sailor it is easy to join, just go to AnySailor.com and sign up online! Any Soldier Inc. is very proud to be one of them!